Hear a message from our President. TriALco is a versatile Primary and Secondary Aluminum smelter, specializing in producing clean, high quality, specification aluminum alloys. For today’s 21st Century Die Casters, Sand Foundries, Permanent Mold Foundries, Job Shops, Specialty Casting Operations and Investment Castings. 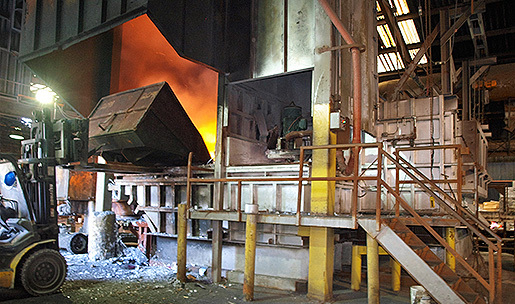 TriALco is a versatile Primary and Secondary aluminum smelter located in the south suburbs of Chicago, IL. We specialize in producing clean, high-quality Primary and Secondary alloys for today’s 21st century Die Castings, Sand and Permanent Mold Castings, Investment Castings, other Specialty Casting Operations as well as Job Shops. TriALco is a ISO 9001:2015 registered company via TUV Rheinland. This demonstrates our dedication to a high-quality production process. We take great pride in a production process that produces a consistent homogenous chemistry that is properly de-gassed and grain refined through strict procedures and thorough laboratory inspections. TriALco purchases good quality raw materials, including high quality silicon metal, which we know though years of experience and interaction with our customers will produce a quality casting. TriALco is constantly inspecting our raw materials, process and finished goods. TriALco is an ISO 9001:2015 registered company. TriALco is a ISO 9001:2008 registered company via TUV Rheinland. This demonstrates our dedication to a high-quality production process. We take great pride in a production process that produces a consistent homogenous chemistry that is properly de-gassed and grain refined through strict procedures and thorough laboratory inspections. Access our SDS Library, view, print or download the SDS sheet you need. We’d love to hear from you. Click to get our full contact information, or call us at (708) 757-4200. 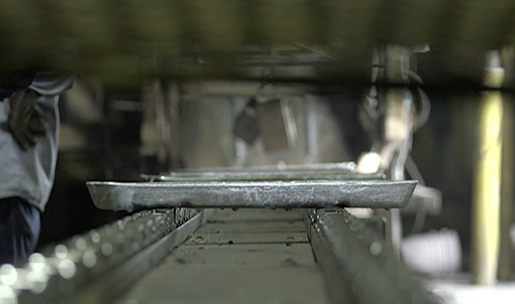 TriALco is able to produce nearly every aluminum alloy listed in the Aluminum Association registry, including both primary and secondary alloys. OR email info@trialco.net for a quotation to your specification. We also produce European, Asian and other alloys to meet your customer’s needs.